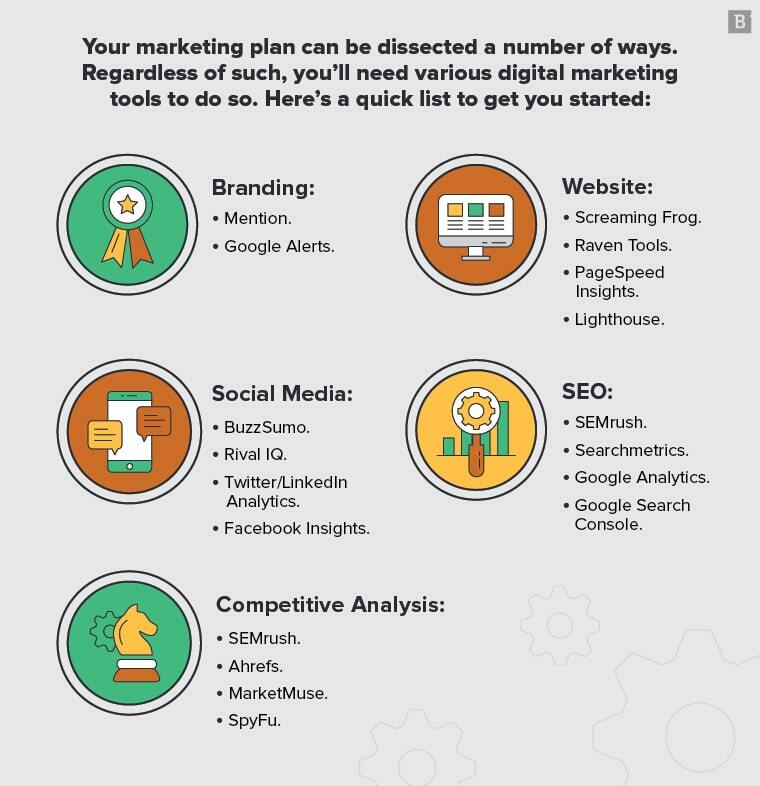 Digital marketing is a vast topic with new trends, research, and tactics emerging all the time. If you’re not constantly on the pulse, it can be overwhelming trying to catch up. But staying on the bleeding edge of marketing isn’t always the best move. Sometimes, you need to stick to the basics, master them, and build from there. That’s what inbound marketing is all about. It’s digital marketing 101. In this article, I want to share the secrets of inbound marketing, look at some examples of it in action, and provide a path for you to get started for yourself. 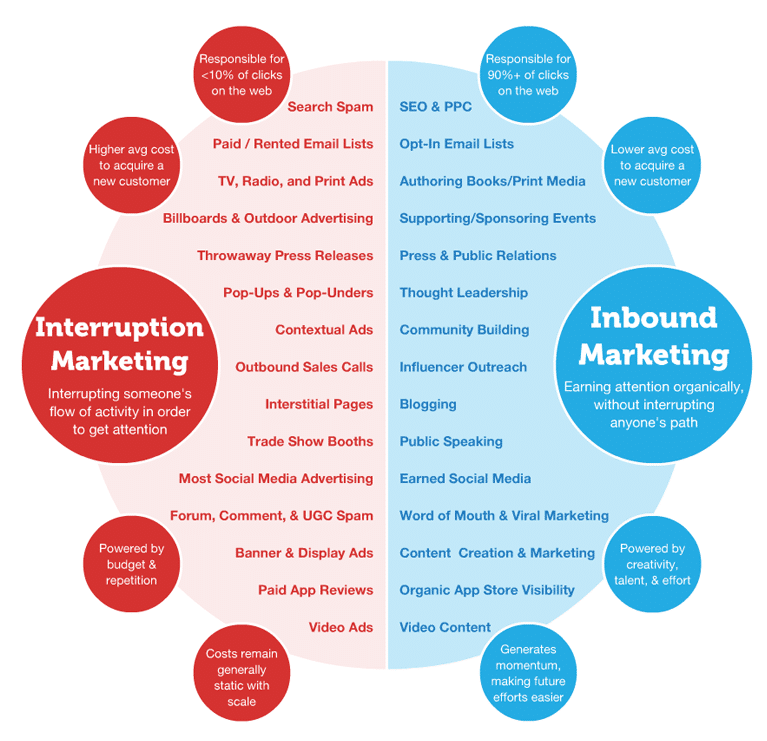 So to kick things off, let’s start by discussing what inbound is and why you need it. Inbound marketing is a form of digital marketing that emphasizes attracting new customers using long-term relationships instead of overt sales attempts. In the past, technology like TV and radio relied on interruptive advertising to share a brand’s message. Your program would take a break, ads would play, and then afterward your program would return. Think of interruptive advertising like a YouTube ad: you want to watch your video, but first, you have to watch a 30-second ad. The problem with this is you can either tune it out or skip it altogether. Ads don’t do much good when they get ignored, which is why there’s a need for a different model. Inbound marketing turns this model around by focusing on building relationships with helpful content, organic search, and thought leadership over a more extended period of time. This new, organic method has gained in popularity and is now the default marketing method for many businesses. While TV and radio ads will always exist, they’ve got some serious competition. But, now that you know why inbound marketing exists and how disruptive it is, let’s transition and talk a little more about the inbound marketing process. 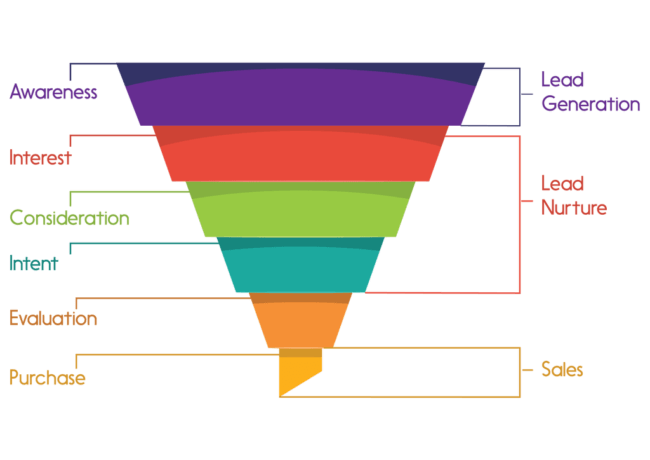 As you attempt to win a customer on the Internet, the best way to envision the process is using the sales funnel model. When a potential customer sees an ad or blog post you created, it’s the equivalent of them entering the top of your funnel. As your relationship progresses, you’ll eventually get some of the initial visitors to become customers. The purpose of your inbound marketing (a term coined by HubSpot) is to get as many people as possible from the top of the funnel to the bottom. To accomplish that, one of the crucial pieces you need to know is called the inbound methodology. This is a four-step process that will help you take a complete stranger and make them an advocate for your business. Let’s break down each of these and more about how the process works. In this phase, businesses use content like blogs, videos, and social media to help people find their business. You can also use paid click ads and long-term SEO to help you get traffic from search engines as well. A website is only as good as the traffic you get on it, so this is a vital first step. Once a visitor comes to your site, you need to have a course of action for them if you want them to become a customer. So in this second section, your aim is to win them over to a middle ground between complete stranger and customer. To do that, you’ll use tools like landing pages, forms, and calls-to-action to try to prompt your visitors to give you their contact information. Typically, you’ll offer some type of promotion or an exclusive piece of content to help convince them to share this info. Once you have your lead’s contact information, the next step of the inbound marketing methodology is to try to fully win them as a customer. To do this, you’ll send them more direct promotional material via the contact info they shared. This step also involves setting up workflows that provide engaging content and a compelling reason for your lead to buy. You have to be filling a need, and this step is where you can often do that the best. It’s tempting to think that once you win a customer, the process is over, but the Delight step takes that one step further. Using the relationship you built in the rest of the inbound process, you now have the opportunity to turn your one-time customer into a lifelong brand advocate. By continuing to engage with helpful content, promotions, and other events, you can win their loyalty and have a customer for life. 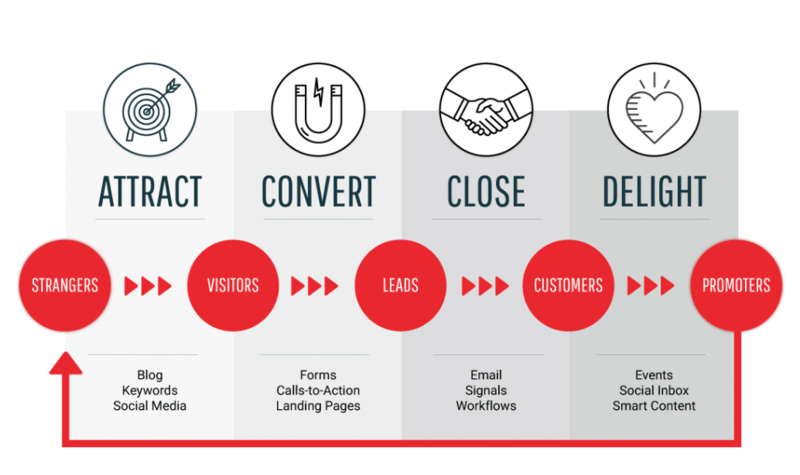 If you follow the inbound methodology step-by-step, you’ll be following a proven process that can win customers and help you grow your business. But at this point, you’re probably asking if this process really works. Let’s look at that next. I say most of the time for a reason though. Not every brand will have a place for inbound, but we’ll get to that in a moment. For now, let’s look at the positives. First of all, when you compare inbound marketing to other types of marketing, it has one of the highest conversion rates out there. That means inbound marketing historically has a high chance of turning strangers into customers. 3.82% may not sound like much, but in reality, it’s a good conversion rate to shoot for. But besides that, every year HubSpot publishes a research survey called the State of Inbound. In the 2018 version, they shared some illuminating statistics that make a solid case for inbound marketing. 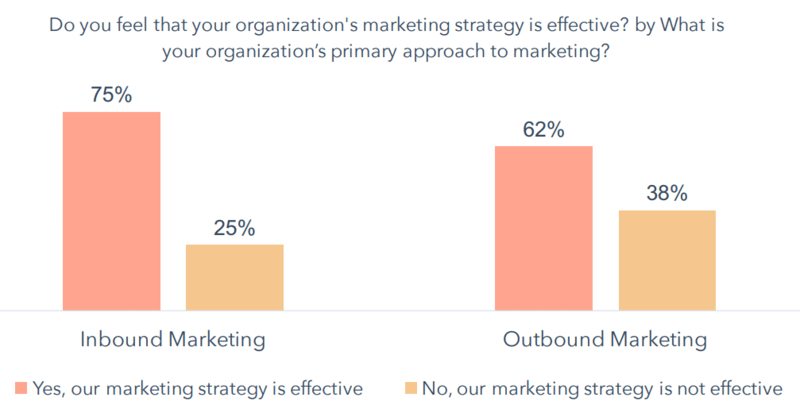 First of all, when they asked the companies they served about the effectiveness of their inbound marketing, 75% claimed that is was effective for them. That’s compared to only 62% who claim their outbound methods (like tv ads) are effective. So by far, the majority of businesses see a positive ROI on their inbound marketing. You do have 25% who claim it’s not effective, but that’s to be expected. Another highlight of the State of Inbound report is a demonstration of just how comprehensive inbound marketing is. When you consider the wide range of priorities and digital marketing assets available with inbound, it’s easy to see how flexible this method is to just about any brand. You can create webinars, videos, interactive web pages, and a whole host of other assets to help you win customers. This flexibility is perhaps one of the greatest strengths of inbound marketing. In one case, using inbound marketing gave a brand a 68% boost in traffic and 550 new leads in just two weeks. That’s an impressive return in a period of time that barely scratches the surface of what inbound marketing can do. So inbound is a flexible and powerful option for online brands. But what does it look like in practice? Now that you know what inbound marketing is and how effective it can be, let’s look at some examples of inbound marketing in action. 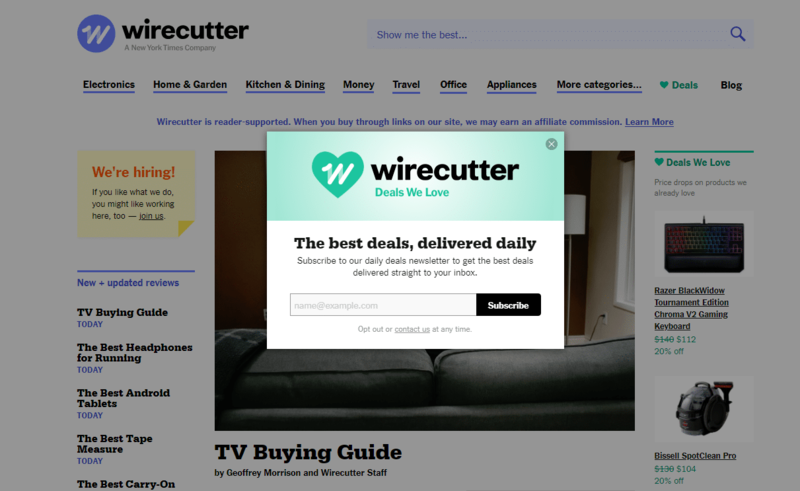 First up is from an affiliate marketing website called Wirecutter. They write and share content about different consumer technologies, and earn a bit of any business they refer to other brands. One of the most effective ways they do this is with their daily email newsletter. All of these are products that the Wirecutter team recommend. While you may not need anything they offer on a given day, chances are one day you will. If you stay subscribed long enough, you’ll eventually find a product recommendation that you can’t pass up. 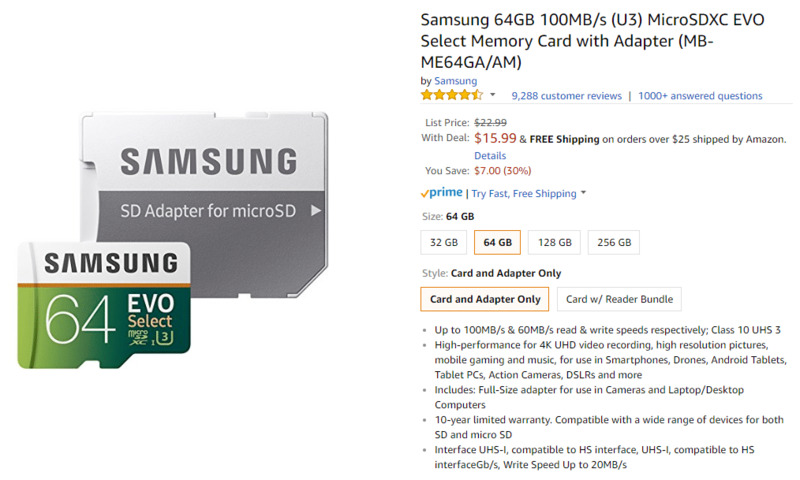 By following a link in their email, you’ll be taken immediately to the Amazon product page for it. Here, you can finish your purchase and move on with your day. But this is an excellent example of how you can use the inbound methodology and email workflows to turn visitors into customers. So long as you get their email address, you have a chance to convert them in the long run. 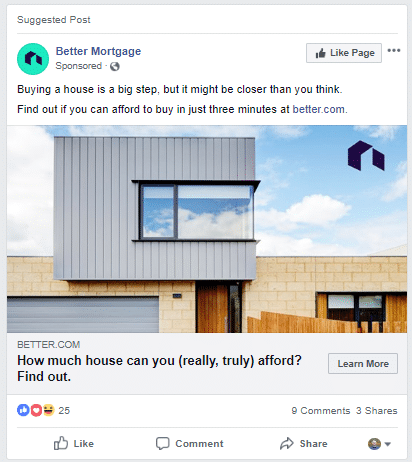 Another example comes from a brand called Better Mortgage, only this time it’s using paid ads and retargeting. 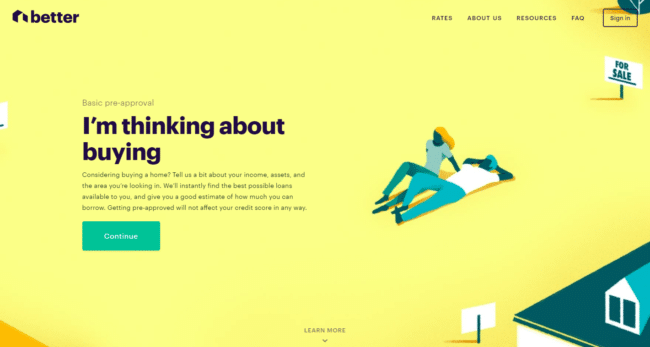 A few weeks back, I stumbled onto their website while Googling a question about mortgages. Since I was intrigued, I decided to click and see where they sent me. While I didn’t go any further, this is a stellar example of how you can use ads with inbound marketing to boost engagement on your site. By targeting individuals who have shown an interest in your niche or product, you can push them to a landing page, gather their contact info, and then try to sell later on. Both of these examples are great representations of how inbound marketing works in the long term to help you win leads, engage with them, and turn them into customers. Now that you know the basics and have an idea of what this looks like in practice, let’s talk about some ways you can get started. First off, if you’re considering inbound marketing, you need to audit your current assets to get a better idea of where your brand is. This audit will tell you if you have any tools, resources, or other materials that can be used to aid your marketing. Even if you’re starting from nothing, you can still start with a competitive analysis to discover what you need to beat. No matter where you are or what you’re trying to accomplish, using the insights from your audit will help give direction to your inbound marketing strategy. It will also enable you to start setting goals for your marketing strategy. The only way to truly know what you’ve accomplished is to measure it against something, and at first, that will have to be the goals you set. With inbound marketing, it’s recommended to start with SMART goals. This method helps you create thoughtful goals that are meaningful to your specific brand. Without proper goals, you may end up aiming for the wrong things and end up losing money. This step is vital, and you shouldn’t ignore it. You can also use the information you gather from your audit to build something called a buyer persona. 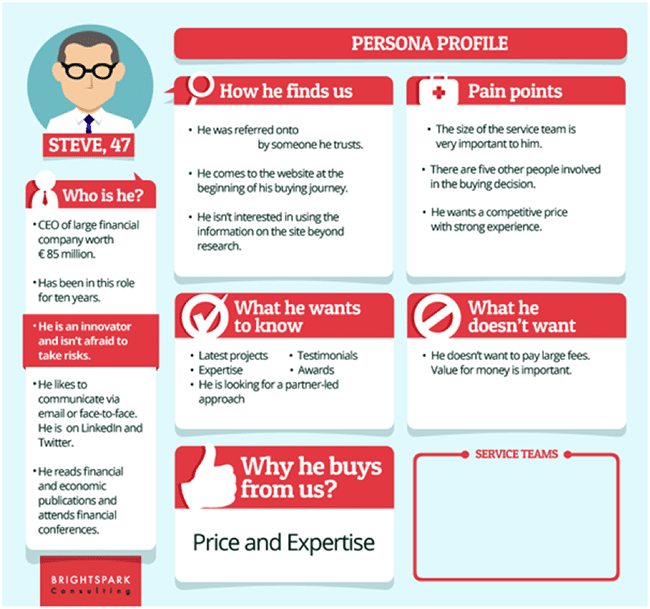 A buyer persona is a template that provides an in-depth overview of who your audience is, what they want, and how you can engage with them. 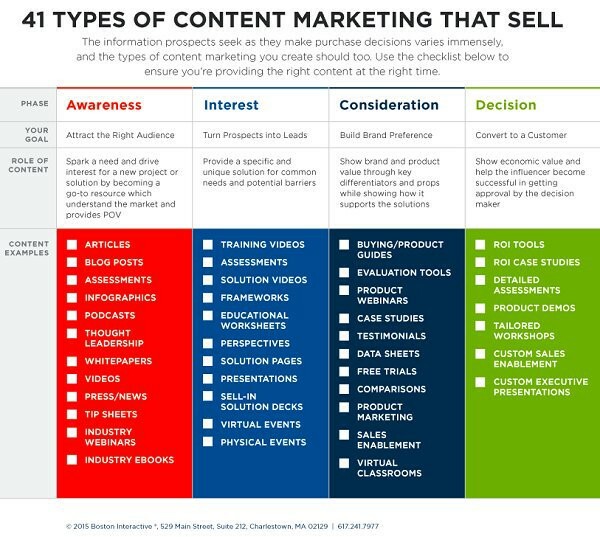 Once all of this is in place, you can start implementing a content marketing strategy that allows you to engage with your personas and start meeting your goals. Good content is an essential part of growth, so don’t neglect it. Generally speaking, content marketing usually takes the form of blog posts, videos, or social media. When you’ve completed this step, you’re ready to dig into some of the more technical aspects of inbound marketing. While it’s easy to imagine that your content will work if it aligns with your goals, that’s not always the case. You need to evaluate its effectiveness with tools like Google Analytics, and then build tests that can help you find ways to improve. With inbound marketing, one of the most popular ways to do this is with A/B testing. This method requires you to create two versions of the same asset with one minor change. You run both varieties and see which performs the best over a period of time. Using this method, you can slowly improve the effectiveness of your inbound marketing in a process called conversion rate optimization. And now that you’re up and running, it’s also a good idea to take some time and learn the basics of SEO. This can help you get more traffic from search engines like Google or Bing, which means more potential customers. 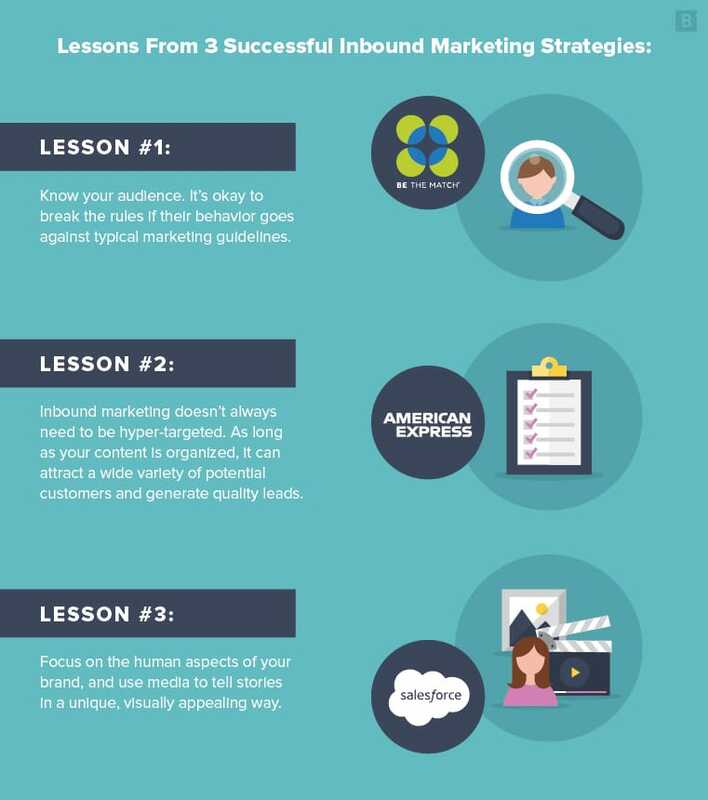 With all this in mind, you’re ready to take on your own inbound marketing. Inbound marketing has changed the way we reach out to potential customers and win them over to our brands. Interruptive ads are still around, but they may not be the best option. On the other hand, inbound is a proven method that has solid conversion rates, tons of flexibility, and a proven track record. It’s an excellent option for many businesses. Using the attract, convert, close, and delight steps, you can turn complete strangers into advocates for your business. Start with an audit of your marketing assets, set goals that you can reach, and build personas to direct your marketing efforts at all times. Then, build content that will engage your audience, test its effectiveness, and build your SEO over time. Even if you’re not an immediate success, inbound can help you grow if you invest in it. It may be difficult at times, but it’s almost certainly worth it. Founder of Codeless. Content highlighted by The New York Times, Business Insider, The Next Web, and several dozen more.